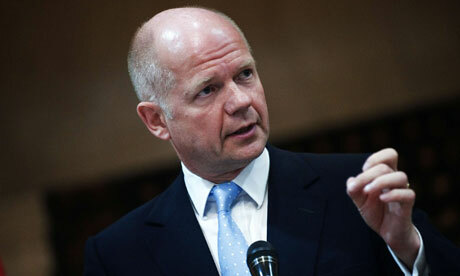 An organisation representing the international Tamil diaspora is taking legal action against William Hague over theForeign Office’s failure to confront a senior Sri Lankan diplomat accused of complicity in crimes against humanityduring the final stages of the island’s civil war. The Global Tamil Forum has instructed the law firm Birnberg, Peirce and Partners to bring a judicial review against the foreign secretary for his refusal to declare Major General Prasanna Silva – now the military attache to the Sri Lankan High Commission in London – persona non grata. The forum alleges that Silva, who has lived in the UK since 2010, was involved in systematic attacks on Tamil civilians between January and May 2009 when he was a senior commander in the Sri Lankan army. The letter notes that the FCO has it in its power to ask a foreign government to waive an individual’s diplomatic immunity so that they can be arrested and questioned by police. It adds that if there is “sufficient evidence to justify court proceedings” – and if the foreign government still refuses to lift immunity – the Foreign Office can ask for the withdrawal of the individual and their family or declare them “personae non grata”. The letter also points out that the Metropolitan police arrests 20-30 diplomats a year. The Sri Lanka High Commission said she was unaware of the GTF’s legal action and declined to comment on allegations that Maj Gen Silva was involved in crimes against humanity. The commission has previously described such allegations as “highly spurious and uncorroborated” and accused British media of seeking “entirely falsely, to implicate members of the Sri Lankan government and senior military figures” in such acts. The Global Tamil Forum told the Guardian that the diaspora would take legal action against anyone suspected of involvement in war crimes. “Every alleged war criminal of Sri Lanka must know that the Tamils will not rest until justice is served for the terrible crimes they are alleged to have committed,” he said. The British Law enforcement seems lacking at times like this. However when LTTE leader Karuna landed in the UK with a ficticious pass port of one Kokila Gunawardene he was promptly deported after a couple of weeks incarceration. Now Karuna is the Chief Minister of the East and also the Deputy Leader of the SLFP who is a convict. What mockery and crass impunity displayed by the MR regime. Was Gota, who got this Pass Port to Karuna even questioned about the matter? Gota presently is denying dual citizenship to individuals seeking same after MR’s fiasco at Oxford. In the first place Suren,the present leader of the Global Terrorism Forum should be arrested. According to the convoluted logic of some, the Tamils have no right to voice themselves. They must live in submission to the majority Sinhalese. If they voice, then they are Terrorists and should be locked up or done away with. Are these people living in the 21st Century? Does this indicate an end to the honeymoon between the Global Tamil Forum (GTF) and the UK’s Conservative Party that began when the Conservatives started wooing Tamil migrant separatists in the UK at the time of the last UK general action? During the last two years a handful of British Conservative MPs have been voicing apparant sympathy for the Tamil victims of the Sri Lankan civil war, blaming the Sri Lankan government for civilian casualties rather than the Tamil Tigers who used their own civilians as a human shield. Their have been indications recently that some of these Conservative MPs are beginning to get cold feet about their relationship with the GTF. This is especially so after some MPs were photographed last year adjacent to the flag of the Tamil Tigers in London and the recent revelations about Prabakharan’s (the Tigers’ military leader) admiration for Adolf Hitler and the German Nazi party.